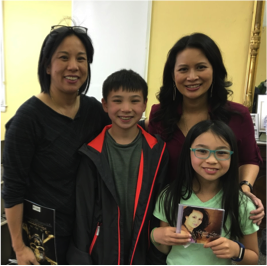 This guest post is by Kristina Wong Kanemoto, who attended a performance at San Jose History Park by award-winning singer and songwriter Larissa Lam and actor hip-hop artist husband Baldwin Chiu (aka Only Won). This performance was part of a tour for their documentary Finding Cleveland, an eye-opening look at the Chinese American experience in the deep South as a result of the Chinese Exclusion Act. I no longer wanna be paralyzed. I refuse to be paralyzed. These were the words sung by Larissa Lam in her chorus of “Paralyzed” just prior to the screening of Finding Cleveland. Regardless of your background, it’s a universal theme for many of us today, as well as prior generations, to avoid the past for “Fear of the unknown, of the things unseen.” Within the first few minutes of the film, we learn that Baldwin’s father, Charles Chiu, never knew his own father or his past. The elder Chiu was born in China, after his father had migrated to a tiny town called Cleveland, Mississippi. Charles Chiu was just a young boy when his father passed away in America. Chiu grew up with a paralyzing fear; he avoided taking any steps to seek answers until his sons, including Baldwin, convinced him to find out more about the life of his father, KC Lou. 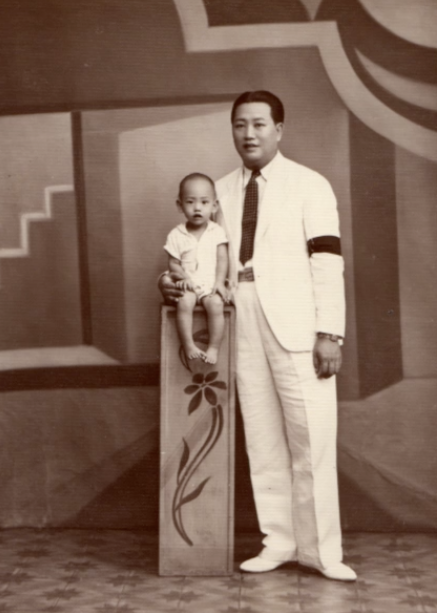 With just a photo of him as a baby with his father and another of Lou’s gravesite, the Chiu family fight… to move on and travel to the Mississippi Delta. Within 48 hours, the family learns that Lou, who owned and ran a grocery store, was well known and respected within the community. With the new understanding of their past and reunion with numerous Cleveland residents whose parents personally knew Lou, deep friendships quickly formed. In the midst of racism and many injustices, minorities often looked out for one another as non-whites were excluded from institutions such as white stores, schools, and banks. For example, Chinese storekeepers often lent money to black customers. But it was also the kindness of white neighbors and their churches that opened schools to educate Lou and other Chinese children. Having once thought that Lou abandoned his son, the Chius learn that Lou cared deeply for his family. Finding Cleveland is a deeply personal story where this family comes alive with a newfound sense of self, belonging and purpose. During the Q&A following the Finding Cleveland screening, my 9-year-old daughter asked Baldwin Chiu if he was bullied as a Chinese American growing up in the Bay Area. I think she was surprised when he shared a number of instances where kids picked fights with him in elementary school. She never knew the details of the discrimination that her paternal Japanese American great-grandparents and grandfather faced when they were forced to relocate to Colorado. Because I grew up as a Chinese American in Hawaii, I never knew what it felt to feel like an “other” until I visited New York as a teen. As we boarded a subway car, some black children chided, “Oooh, Chinese!” and pulled their eyelids so that their eyes slanted. I was so stunned, but my mother had the presence of mind to usher us out of the car and into another one. As the shock wore off, I began to feel angry and bitter. But then I had a change of heart when I thought about how those kids had to contend with race matters on a day-to-day basis. The Q&A time reminded me of the importance of continuing the conversation about race and “otherness,” especially with younger generations. I want to raise my children with the appreciation and awareness of the differences of others. And my dream is for them to become advocates for those who suffer as a result of the fear of those differences. As they answered questions, Baldwin and Larissa encouraged us all to take advantage of learning from the past by asking older friends and relatives about their cultural heritage and experience. I thought about how Baldwin shared about being stereotyped and bullied for being Chinese. I seldom stop to ask my Chinese American friends who grew up in mainland U.S. to share their experiences. Though it’s not always easy to discuss past or present abuse as a minority, these kinds of stories must be told so we can learn from one another. Although Asian Americans are often stereotyped as being the “model minority,” we still carry the pain of familial sacrifice and discrimination which is still very much alive. The Chius are finally free…to fulfill a bigger destinyand shed some light on the past -both the beautiful as well as the heartbreaking. They added that in addition to learning about the experience of whites and blacks in the South, the experience of Asians and other minorities must be preserved and not overlooked. 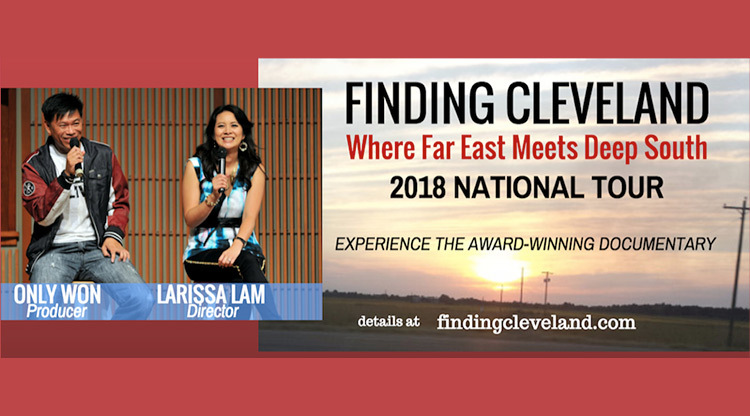 Rewriting history, the Finding Cleveland story is both a story about one Chinese American family in the south — and something that can prompt people of all ethnicities to think about the meaning of immigration and community. 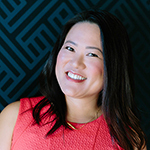 Although her Minnesota birth certificate lists her mother and father as “White,” Kristina Wong Kanemoto was born to Chinese American parents in the 1970s. Raised in Hawaii and married to a hapa, she and her family live in a predominantly Latino neighborhood in San Jose. As a fairly extroverted people person, she is pursuing a career in HR after 15 years in program management.